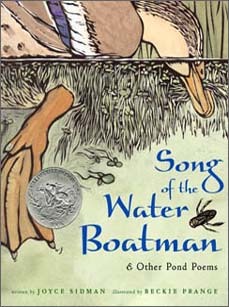 Add to this the wealth of accessible information on pond habitats and Prange's stunning woodcuts, which are a perfect accompaniment to a collection of poems about the natural world! This book is succeeds on all fronts! 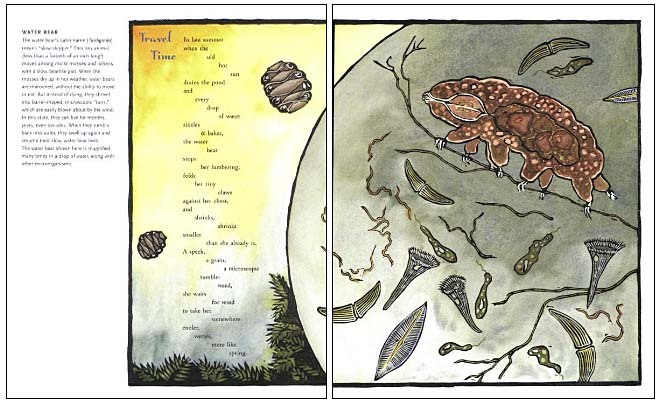 Below and at right are three sample spreads from inside Song of the Water Boatman. 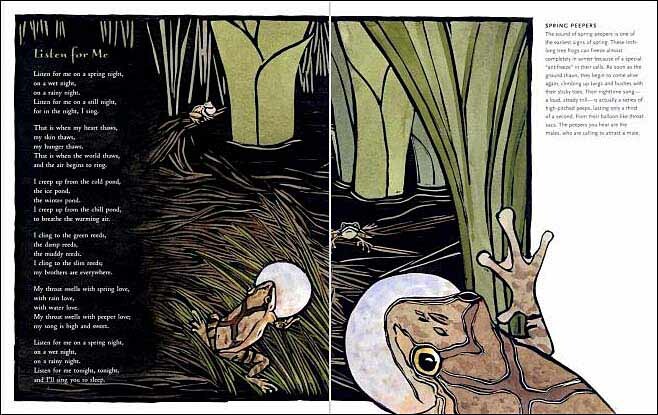 The book features twelve spreads similar in format to the first and third spread below, with a beautiful double page woodcut, a poem integrated into the illustration, and on the side of the illustration, a paragraph of scientific information relating to the animals and plants referenced or described in the poem. 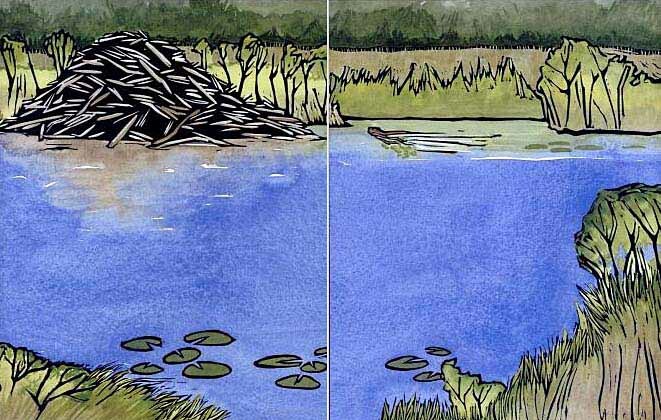 Together, they make for interesting, engaging learning experience about pond life...perfect for units on pond habitats or for teaching poetry. 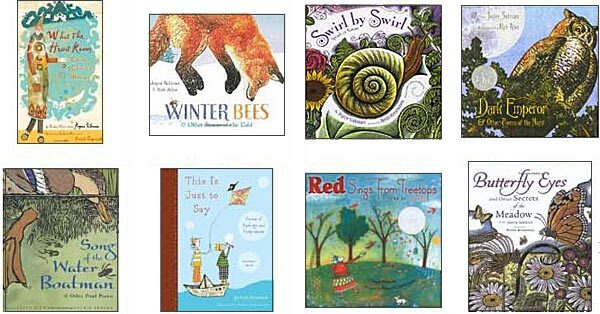 You may also want to check out other books by Joyce Sidman. To learn more, click on the book covers below or the author's name above.